The Endocrine Society has released new diabetes guidelines for older adults. These guidelines provide great insight into the uniqueness of providing diabetes care for this special population with a focus on shared decision making and individualized treatment goals, treatment of co-morbidities (hypertension and dyslipidemia) and impact co-morbidities such as renal impairment and heart disease have on medication selection. 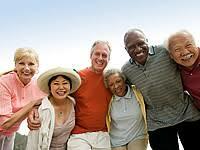 Lastly, emphasis on identifying and addressing prediabetes in older adults. To learn more about these new guidelines, please click below.